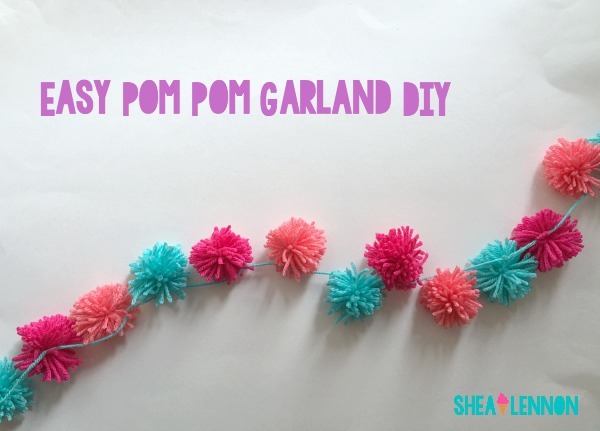 One of my goals this month was to tackle a Pinterest DIY, and I had this pom pom garland in mind for Violet's nursery. I had hopes that when I completed it, I would be able to show it to you in her actual nursery. One out of two isn't bad--I managed to make the garland (so easy!) but the poor girl's nursery is pretty far from being complete. With less than 3 weeks to go I really need to get on it. I'm not the craftiest person on the planet, so any project that only involves 2 materials (in this case, scissors and yarn), sounds appealing to me. 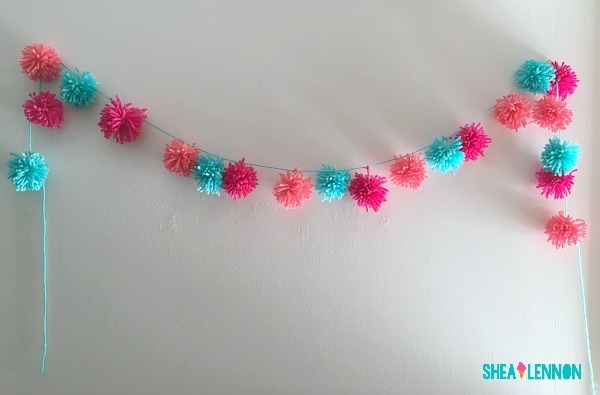 All I had to do was make the pom poms and tie them to a long string of yarn. I like projects that allow for multi-tasking. 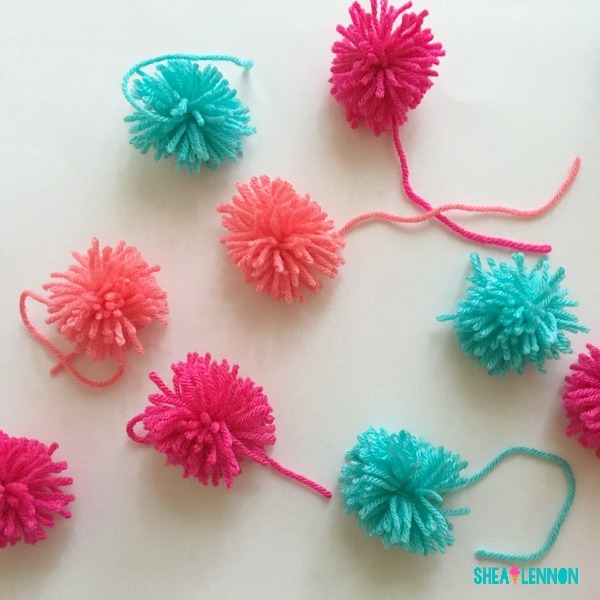 I made the pom poms while sitting on the couch hanging out or listening to podcasts. There was no mess and the chances of me screwing it up were pretty minimal... a win-win I'd say! Have you tackled any Pinterest projects lately? Linking with The Creative Corner, Sarah and Mackenzie, Tuesday Talk, and Garay Treasures.